Kuwait’s National Assembly Speaker Al-Ghanim during his speech at the Arab Economic Forum held in Beirut. 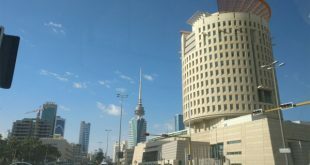 BEIRUT, July 12, (KUNA): The economic and financial reforms in Kuwait takes inspirations from His Highness the Amir Sheikh Sabah Al-Ahmad Al-Jaber Al-Sabah’s ambitious plan based on cleverly utilizing vital resources and manpower, said Kuwaiti Speaker of the National Assembly Marzouq Al-Ghanim Thursday. Al-Ghanim’s statement was part of his speech delivered to the Arab Economic Forum held in Beirut and patronized by Prime Minister Saad Al-Hariri. “The vision for economic reform is based on several criteria focusing on a shift from an economy driven by the public sector to one boosted by the heavy involvement of private entities,” said Speaker Al- Ghanim. He added that the other plans involved the use of various resources to expand production of commodities and making the national work force as the main ingredient for development and progression. Kuwait’s development plans were boiled down into vision 2035, a leadership-supported plan costing around USD 116 billion, said Al-Ghanim. The top lawmaker affirmed that with change comes a tremendous amount of struggle that require people to band together to achieve a common goal, stressing that the people of Kuwait were up to the challenges ahead. Speaker Al-Ghanim cited the success of the Saudi reform plans, which was backed up by the top authorities in the Kingdom of Saudi Arabia, indicating that Kuwait will surely take notes concerning its own ambitious plans. 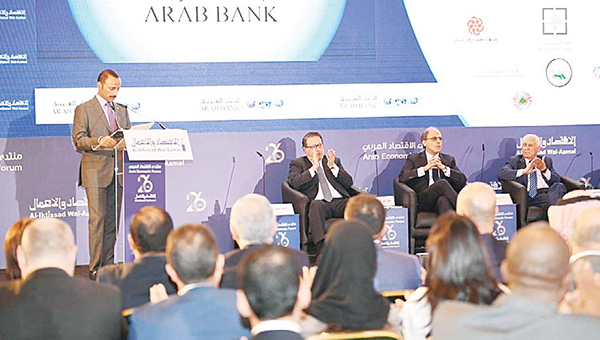 Meanwhile, top Lebanese and Arab officials praised Thursday Kuwait National Assembly Speaker Marzouq Al-Ghanim’s opening speech at the Arab Economic Forum held in Beirut. “Al-Ghanim expressed the depth of the Kuwaiti-Lebanese relations and the importance of having a clear national policy that manage educational, economic, and foreign as well as security strategies in any country,” Former president of Lebanon Michel Suleiman said to KUNA. For his part, former prime minister of Egypt Ibrahim Mehleb considered Al-Ghanim’s speech as an honest expression, setting a great example for Arab citizens. “Politics is honor, honesty and hard work. A politician should convince people with honesty so they join him.” Mehleb added. Meanwhile, former Lebanese prime minister Fouad Siniora said that Speaker Al-Ghanim addressed important political subjects that will lead Arab countries to keep up with economy changes. The economic changes and challenges in the region must push Arab nations to work together to achieve common goals and aspirations, Siniora added. Also reflecting on Al- Ghanim’s speech, Chairman of the Lebanese Chamber of Commerce Mohammad Shuqair said “The Kuwaiti National Assembly Speaker’s (Al-Ghanim) speech is one of the most honest ones delivered and it shows great solidarity amongst Arab nations.” He commended Kuwait’s support to Lebanon during the difficult and peaceful, affirming that his country was looking forward for more cooperation. Al- Ghanim discussed in his speech the need for financial and economic reform in Lebanon and how it is important to help Lebanon stabilize financially and economically, said Shuqair, stressing on the need for financial and economic reform in all Arab countries. The Arab Economic Forum held in Beirut for two days and patronized by Lebanese Prime Minister Saad Al-Hariri is attended by a high-level Kuwaiti delegation headed by the National Assembly Speaker Marzouq Al-Ghanim, Kuwait Central Bank (CBK) Governor Mohammad Al-Hashel, former minister of finance Bader Al- Humaithi, and other senior officials.